In the port of Amsterdam North there is a submarine, for is several years. It is a Russian submarine, Zulu II Class. The submarine was purchased long ago by Dutch entrepreneurs to convert it into a meeting place, these plans failed. The submarine has been changed several times of owner and waits for demolition, according to the latest reports. The submarine in the mean time has an iconic presence. This for visitors, tourists but also for the regular users of the ferries, always ….. along the the submarine, the 4711. 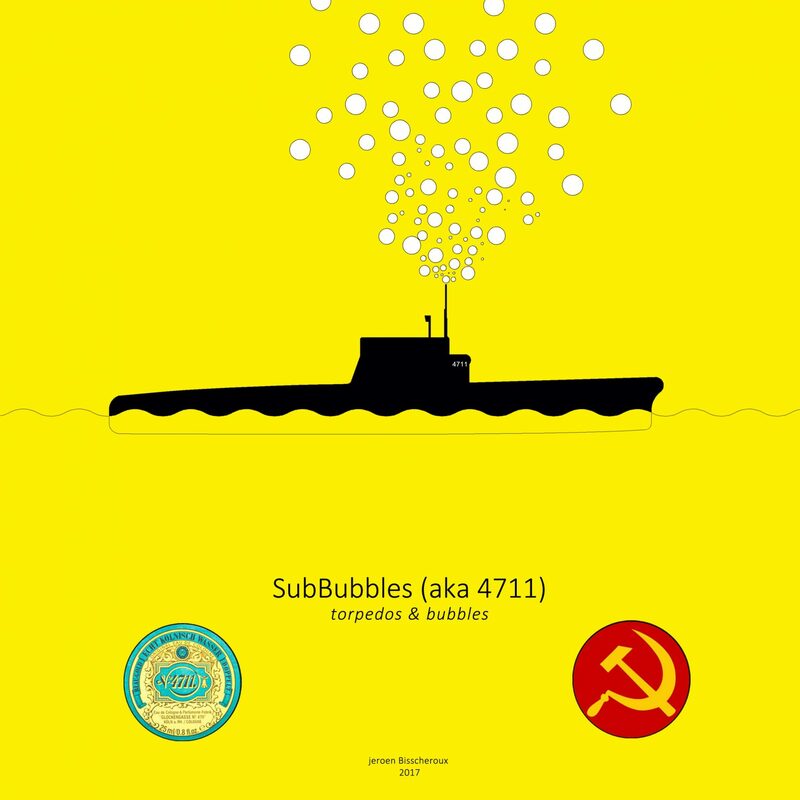 SubBubble is the new name of the submarine 4711. The submarine is transformed from war machine to bubble machine. A greater transformation is almost impossible. The narrow, vertical tube of the submarine produces bubbles of soap. The bubbles also have an odor. The scent of 4711. the vicinity of the 4711 will smell……..smell like 4711, an ancient and familiar smell of water, also called Kölnisch Wasser or Eau de Cologne. From Submarine to bubble machine.